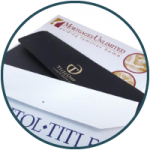 Our Closing Document Portfolios help you leave a professional lasting impression with clients. 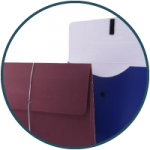 Our popular portfolio style Closing Document Folder securely hold paperwork, featuring a closure flap and legal or letter size options. 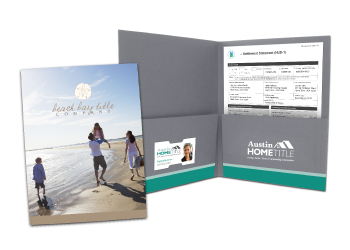 Closing Document Portfolios are available with or without expansion gussets. Expansion gussets hold up to 1.5″ of paperwork and are either sealed or unsealed. 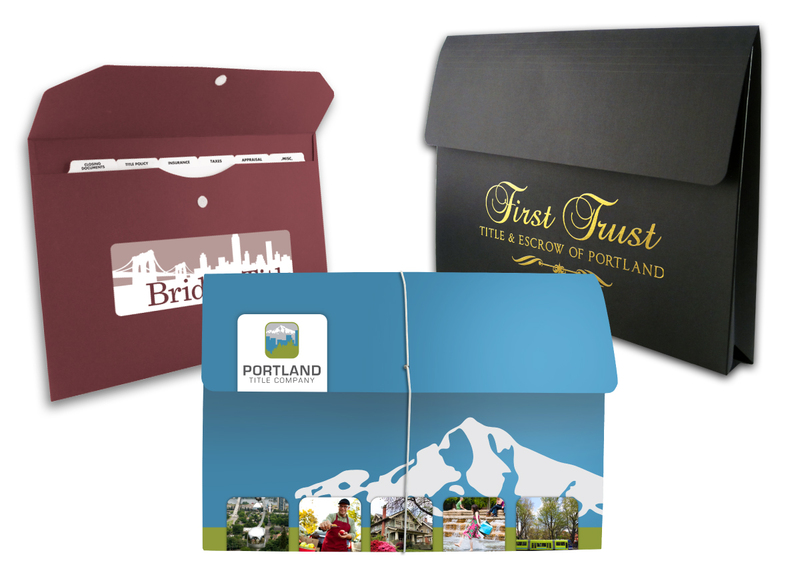 Unsealed expansion gussets are standard and Closing Document Portfolios are shipped flat to minimize shipping charges. 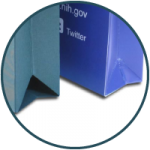 A Bando is a stretchy band in either white or black that fits through a drilled hole in the closure flap and wraps around the Closing Document Portfolio to hold it securely closed. 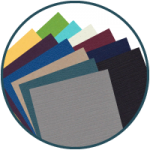 Velcro is a second option that adheres Velcro to the underside of the flap and the body of the Closing Document Portfolio to hold it closed. Many of our clients also choose to simply have no closure. 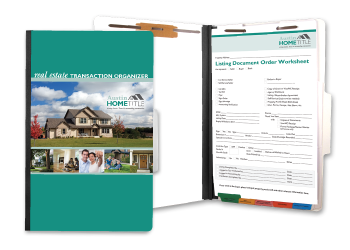 You can choose from a wide array of printing options for your Closing Document Portfolios. 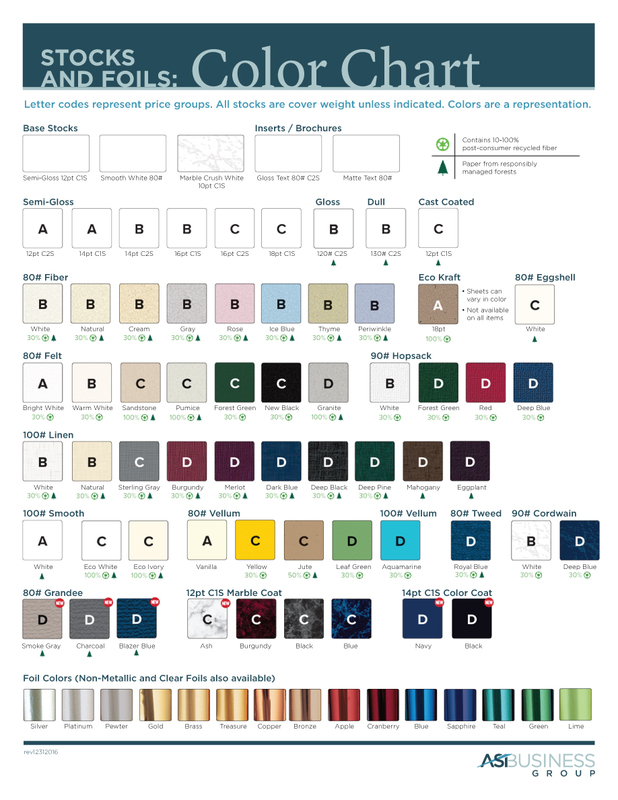 Standard options include 1-color, 2-color, full-color and foil stamp. 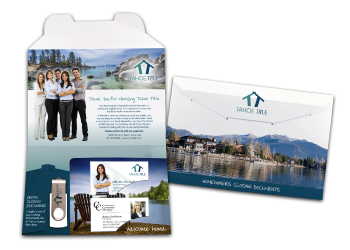 Let us help you choose the style that will best reflect your company’s brand image. One of our dedicated account representatives would be happy to talk to you about the added benefits of our Closing Document Portfolios. Send us a message, give us a call at 877.434.5464 or request samples to get started.